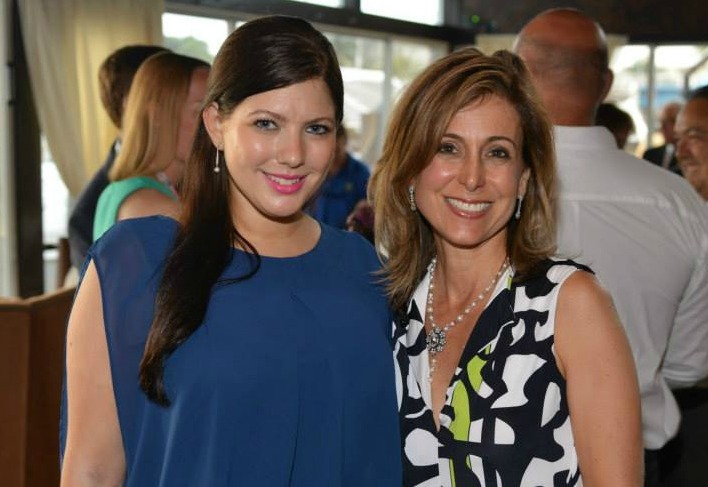 New board chair Arielle Capuano (left) with former board chair and Voices for Children founder, Amy Goldin (right). This month we got a chance to sit down with our new board chair, Arielle Capuano. Arielle has been involved with Voices for Children since 2011. Over the past four years, she’s served as a volunteer, event chair, board member and executive committee member for the organization. She spoke with us about her passion for the cause, some of her most memorable moments as a volunteer, and of course, her plans for the future. When did you first start volunteering for Voices for Children of Broward County? I first started volunteering with Voices for Children in August of 2011, when I was approached by a friend of the family who had a “fabulous charity” that she thought I would love working with. I knew this was a cause worth investing in after the first meeting. After volunteering for a few months, I was invited to join the board of directors. Once I joined the board, I took on various leadership roles — co-chairing our annual events and just helping to grow the organization. Why is this cause so important to you? Voices for Children allows me to make a meaningful difference in a child’s life — a child who might otherwise have fallen through the cracks of the system. I have always believed that children should be valued and protected — and these children are the most vulnerable in our community. Does your experience as an attorney help you in your capacity as a board member for Voices? Absolutely. As a matrimonial and family law attorney, I have seen firsthand how children can become victims of their parents’ struggles. I also have come to understand how unique each family is, and how each child has different needs. This experience has helped me better determine how we can help each abused, abandoned and neglected child who has an open and active dependency case, and how we can relay our message to our supporters and the public at large. In the time that you’ve been with Voices for Children, are there any special memories that stand out to you? Moments where you felt that you were really making a difference? The memory that first comes to mind was during our first annual Soaring for Children event, which took place at Jet Runway in May of 2012. As a part of our program, we had a former foster child speak to our audience. Listening to his story and seeing how the audience responded was very moving. He talked about how he overcame adversity. He worked very hard, and with the help of his volunteer Guardian ad Litem, he was able to graduate high school and get into college. He had dreams of pursuing a legal education and giving back to the community. That was one moment when everything came full circle for me. What we do really makes a difference and the children we impact carry those experiences forward and make our community a better place. Who do you think should become involved with Voices for Children? I think anyone who has a desire to give back should become involved with Voices for Children. If you want to actually make a difference in a child’s life, this is the place to do it. What’s the best way to help your organization? There are a number of ways the community can help us support our children. They can make a tax-deductible donation, donate gift cards or toys, host an event, become a volunteer Guardian ad Litem, help us spread the word about Voices and more. What do you hope to accomplish during your term? Our former board chair, Amy Goldin, did such an amazing job getting Voices off the ground, building a board and growing the organization to serve thousands of our community’s most vulnerable children. I want to expand upon what Amy has started and grow the organization to new heights. Some of my goals include serving more of our children, expanding upon the many ways we serve our kids, and providing education and services to the community at large to help reduce the instances of child abuse. Any exciting events planned for this year? Yes! April is Child Abuse Prevention month and we are hosting several events, activities and trainings throughout the month. Currently, we’re in the process of planning a very exciting and unique event aboard a Royal Caribbean ship that will take place later this Spring. In the fall, we have our annual Soaring for Children and there are some other smaller events that we’re working on with our community partners. Voices for Children is extremely excited to have Arielle in this new position and we know she’ll continue to be a strong advocate for our community’s most vulnerable youth. Interested in meeting Arielle and the rest of our team at an upcoming event? Sign up for our newsletter and follow us on Facebook to stay in the loop.